Erik Goedhart is working at Kuehne+Nagel as Senior Vice President and heading up the aerospace and industrials market & solutions approach. Erik started his career in 1981 with NCR computers in direct sales, marketing and business unit management. In 1993 he joined Fokker Aircraft Services as VP Marketing & Sales. Erik was a key player in setting up the Fokker Services organization in 1996 after the Fokker aircraft manufacturer ceased to exist. 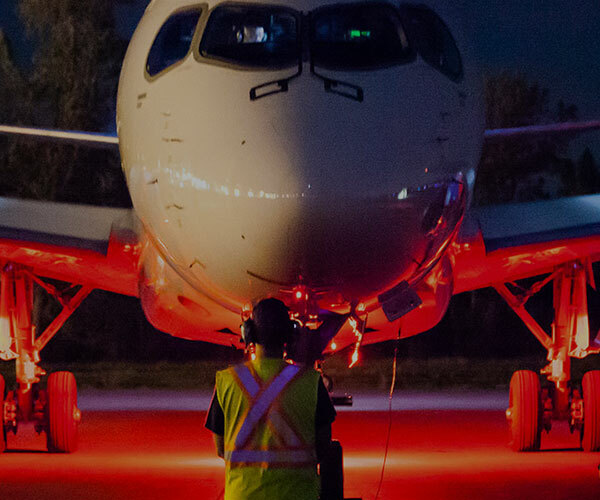 Innovative programs like FUTURE 100 and FLYFokker set a new standard in the aircraft aftermarket services industry. In 2003 Erik started his own aerospace consultancy. In 2007 he advised Kuehne+Nagel on the aerospace strategy resulting in becoming employed as the SVP Aerospace. The Aerospace business for Kuehne+Nagel has developed into one of the six key market segments with year on year significant growth. Industry breakthrough end to end solutions like KN EngineChain and KN InteriorChain has been successfully launched in the market. Key words: Innovation, digitalization, Supply the Sky!